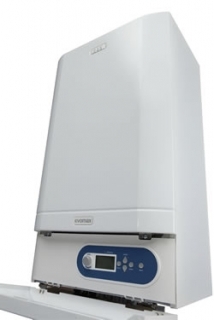 The Ideal Commercial Evomax offers a wide range of heat outputs from 30kw - 150kw. 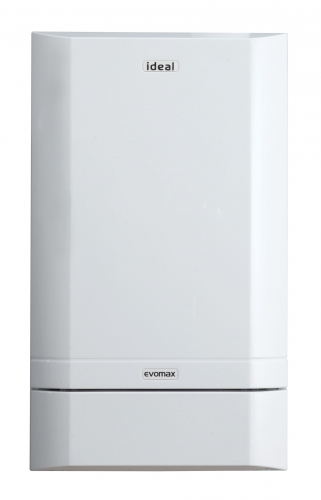 Most commercial boilers of this size are required to be floor standing, but the Evomax offers all of these sizes as a wall hung boiler! Combine this with its lightweight design, and you have a wall hung commercial boiler suitable for any installation. Largest range of outputs available on the market. 30kw - 150kw outputs available. All sizes are available as wall hung. One width & one height for each kw size. Designed for easy commissioning and servicing. Sedbuk A rated. Above 90% efficient. Floor mounted jigs available for multiple boiler installations. 30kw - 80kw require a 80/125mm flue. 100kw -150kw require a 100/150mm flue.